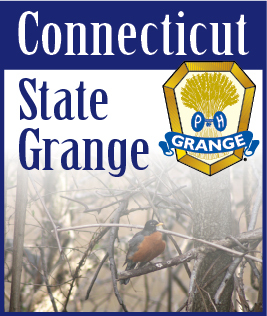 Is your Grange ready for a Junior Grange program? Do you know about the National Junior Grange Leaders’ Enrichment Workshop? This two-day workshop is designed to help new and experienced leaders learn and polish skills to be ready to work when they get those ten, twenty or thirty new Junior Grange members all at once! Learn more by contacting National Junior Grange Director Lillian Booth at juniors@nationalgrange.org or by visiting the website, www.nationaljuniorgrange.org. At our MARCH meeting, we were happy to have Katelyn Demelo join! Welcome Katelyn! Also in March, 5 Juniors and 3 Honorary members went to Villa Maria, a convalescent home in Plainfield, with homemade cards. We enjoyed seeing the residents, and greeting them. They appreciated our cards and seeing the children. Unfortunately, we missed the opportunity to go to see a sugar shack. I guess that this year wasn’t a good year for maple syrup. We will enjoy it all the more, next year. At our April meeting, we voted that the profits from our spaghetti supper will go to Kaycee family. She is a 5th grader who is receiving cancer treatments. The profits from our plant sale and raffle will still go to Kaycee’s family. The supper is April 16th, our entertainment will be Biomes. They are coming with a tidal pool/touch tank, so it should be a fun evening! We voted to go to Tara farm animal rescue: 670 Babcock Hill Rd. in Coventry, CT. We HOPE to squeeze that in April. We signed a thank-you for Mr. Stuart, the man who came to our March meeting and taught us a lot about bees. He was very interesting and patient with our many questions. Did you know that one honeybee makes only about 1 teaspoon of honey in its lifetime?!! We also signed a thank-you for Mr. Thurlow, who donated cans of sauce for the spaghetti supper, pasta, and a check for $100.00! His generosity ensures a better profit to donate to Kaycee! We also signed a thank-you for Barbara Salisbury who collected 40 “G” dollars for us. Wow! We have a lot of support! On April 3rd, the Subordinate Grange held their awards luncheon. Our members Lillian, Abbey, Evelyn, and Brianna put on a skit, and did a good job! Abbey did a funny monologue, and Eveyln and Lillian each played a musical piece. Great job girls! Natasha and Kayla held down the fort at the Power-lifting competition this weekend, which was held at Sterling’s municipal building. We had a table for baked goods, candy bars, and protein bars! I am truly grateful to have such dedicated helpers!